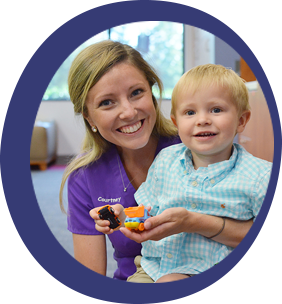 At Fort Mill Pediatric Dentistry, we love kids and we are passionate about what we do – helping kids develop and maintain healthy smiles. We create a positive and fun dental experience while providing expert oral care to infants, children, adolescents and people with special health care needs. We consider each child’s oral development, age and temperament to provide the best quality of dental care tailored to your child. The result? We believe our smiles do most of the talking and here's what some of our parents have to say. We create a positive and fun dental experience. My kids look forward to their appointments. Great place; wonderful staff." We address a full spectrum of kids’ oral health including in-office comprehensive care and preventative care recommendations. Read some of the frequently asked questions from our patients and get a full understanding of what your first visit will be like.